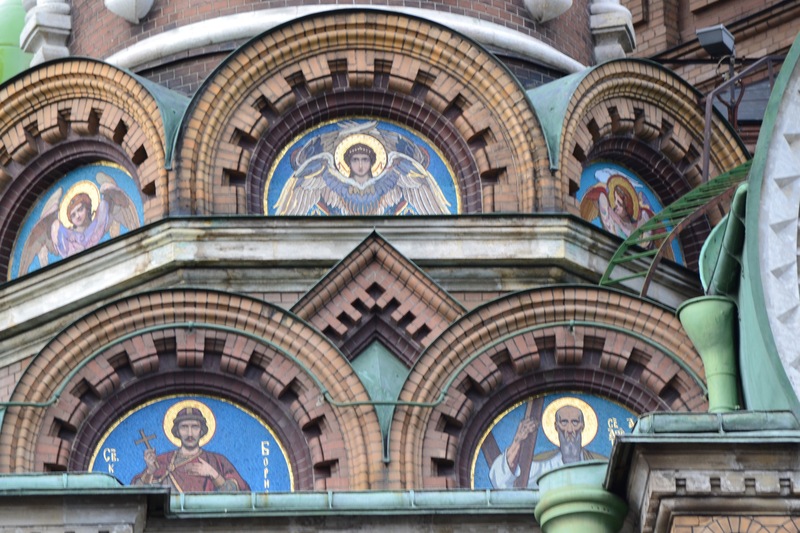 The Church on the Spilled Blood is case where the memorial doesn’t match the man. Like many leaders Alexander ll wasn’t the most gracious. Although he had introduced some reforms he also sent thousands into exile in Siberia. It wasn’t an accident that people wanted to throw grenades at him. Alex aside, the memorial to him is a triumph to the art of mosaics. 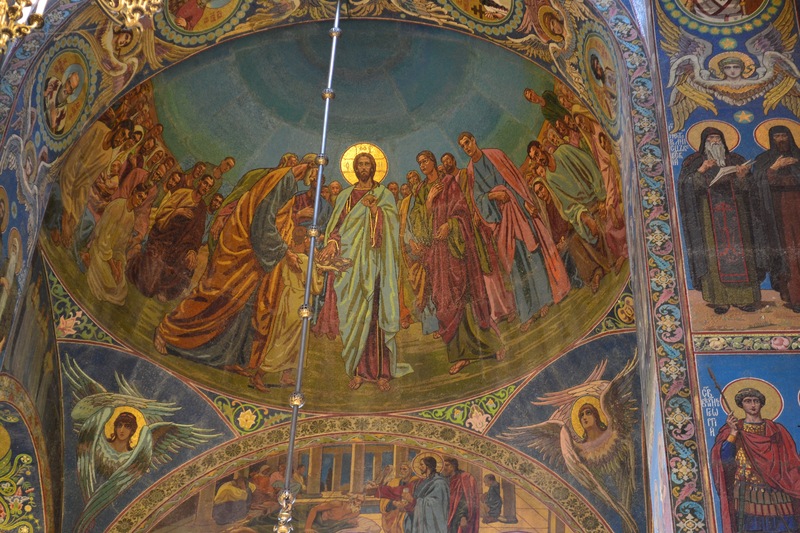 Nearly every surface is covered in stories of biblical events and saints. Both the outside and the inside are highlights. 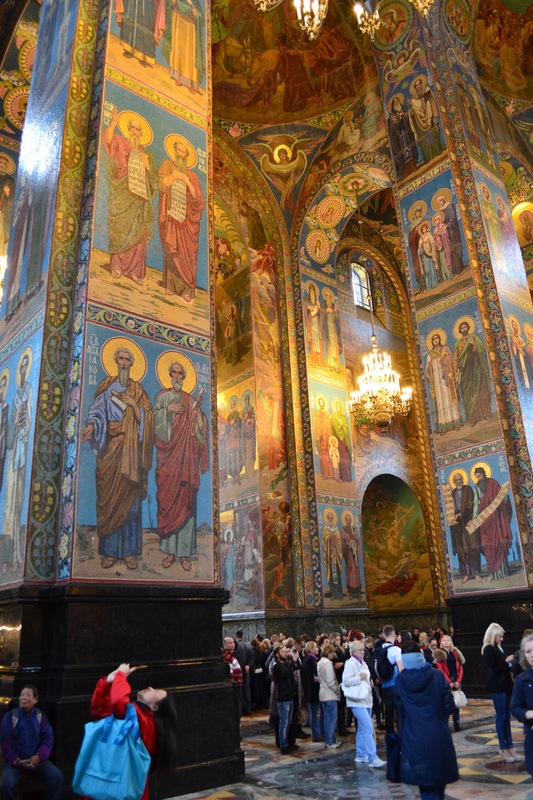 I’d love to learn, sometime, how such a beautiful marvel survived the atheism of the Soviet regime. I think it survived because they turned these buildings into museums. Richard, my wife says we should be glad the Communists got hold of them and turned them into museums and potato warehouses, because if the Protestants and Henry 8th got hold of them them they would have been destroyed or whitewashed. 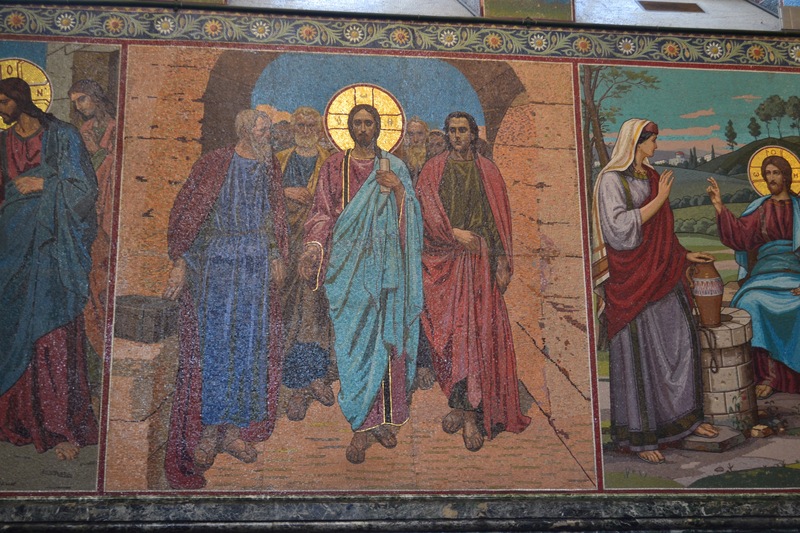 I wonder Pieter, does it strike you as incongruous tourist traipsing through a church viewing attempts by artists trying to portray a Christian tradition which has little to do the realities of a Semite man entering history in the Middle East and healing people through faith. Does the white skin, the blue eyes, the halos, and the fluffy clouds splattered on walls distract you from the Jesus message? Well Mick, the hoards of Japanese and Chinese tourists are none the wiser. 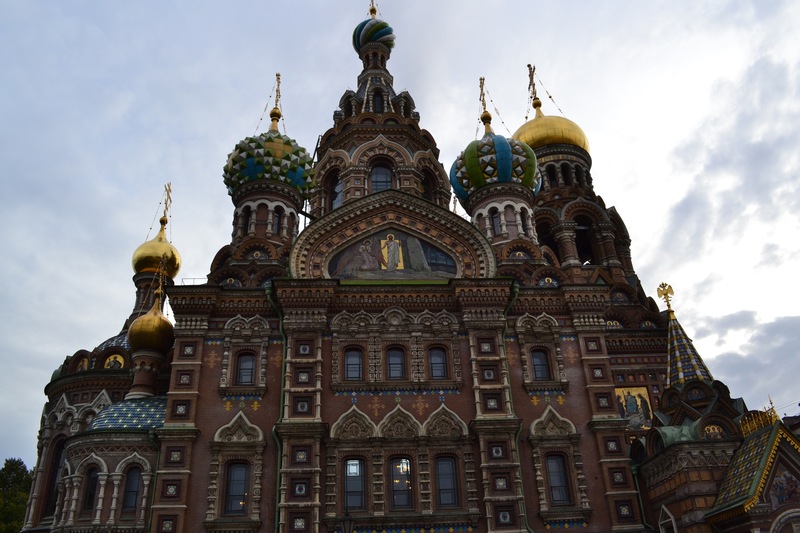 In St Petersburg the main aim was to catch up with West’s materialism. Churches are empty. A church in Helsinki could hold 2500 people but only 50 came to church on Sunday. The only times it reached capacity was when recitals were held. We were encouraged today when we entered a C13th church in Tallinn. It had large monitors behind each huge column, a data projector, photos of copious church activities and the Alpha program advertised. It’s regular attendance is over 400 per week. 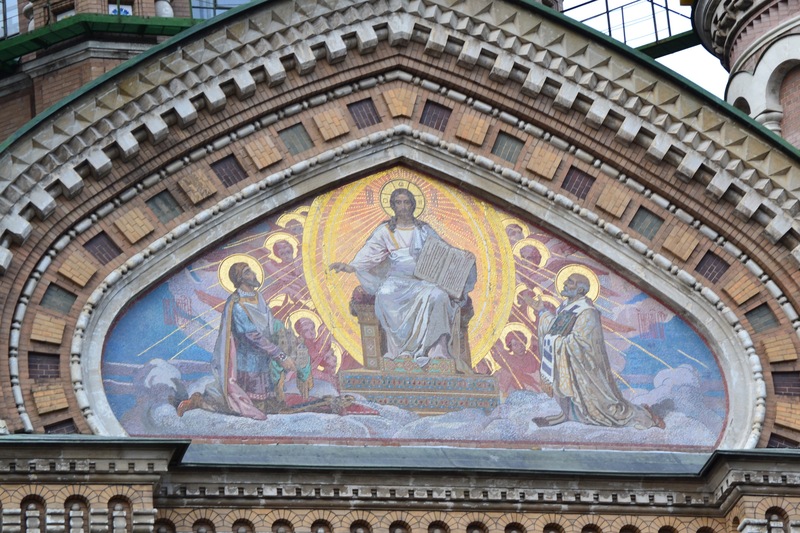 Back to the mosaics – all these are is a tribute to the work of the artist. They bear little resemblance to the gospel.